Taking vintage inspiration, this elegant diamond ring by Neil Lane presents a timeless appearance. A perfect princess cut diamond is poised as the captivating centerpiece, with a glistening halo. 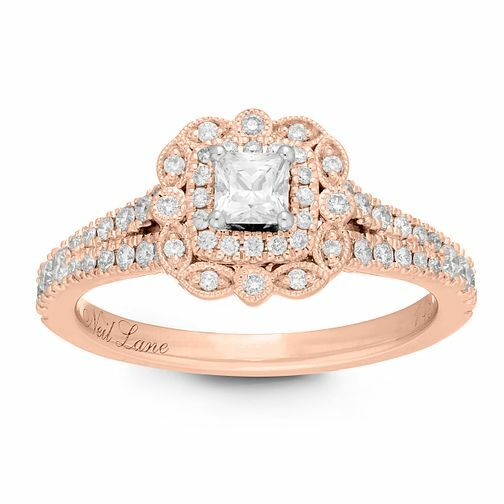 Crafted from 14ct rose gold, the ring shoulders feature chic embellishment with set stone shoulders, with a milgrain alternating round and marquise pattern surrounding the halo, offering an additional finishing touch of sparkle.